The Snowy Day (in August…) in Los Angeles? While the thought of a snow day during the waning days of summer seems absurd, please indulge me in this post because I’m going to share the most charming snow day you’ll likely experience. 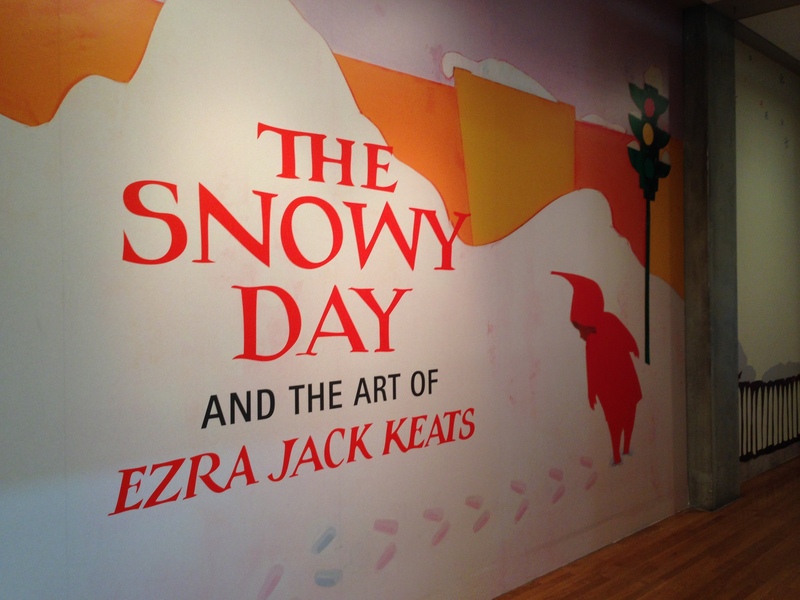 The Skirball is wrapping up their 6 month retrospective on the art of Ezra Jack Keats. The Snowy Day is an homage to it’s namesake book about a day in the life of a young boy from Brooklyn who experiences the first snowfall of the year. This delightful book captures the boundless energy, excitement and pure delight of a child exploring nature. The book was originally published in 1962 and it made history by featuring the first non-caricatured African-American protagonist in children’s literature. As a result, the Snowy Day was released amid tremendous controversy on artistic and socio-political levels. The exhibit features original artwork from the book alongside some of editorial ephemera (including letters that supported and lambasted the book) that accompanied its release. In addition to the Snowy day, Keats’ work includes numerous works that reflect the cultural diversity of New York in the 1960’s. He didn’t sugar coat economic conditions, yet as an illustrator his art deftly taps the heartbeat and spirit of the communities he portrayed. Keats grew up as a Polish Jew living in tenement housing in the Bronx during the Great Depression. He had trained as an artist before and after enlisting in the Army and became an illustrator in the 50’s. The Snowy Day was Keats’ first solo authored/illustrated book and the inspiration to use an African-American child came from a 1940’s magazine clipping featuring a child who experienced the emotional roller-coaster of a needle prick blood test. The child in the photos became his creative muse. The hero in Keats’ book was named Peter. Excerpt from a Life Magazine shoot featuring a child who was given a blood test. The range of emotion expressed in the pictures served as an inspiration for Peter in Keats’ 1st book “The Snowy Day”. I remember reading The Snowy Day, and as a black child in the 1970’s and I certainly had a visceral connection to Peter in the book. I grew up an only child and related to Keats’ depiction of joy in solitude; to be able to see a Snowy Day through the eyes of Peter who looked like me this gave me a sense of belonging. In addition to the Snowy Day, many of Keats’ other books were featured and the exhibit explores the depth and range of his artistic style which had been influenced by Japanese and Chinese art. The works he produced during that phase of his career delved into spirituality and nature, with many of his paintings taking a sharp departure into abstraction (at one point he studied with Jackson Pollock). 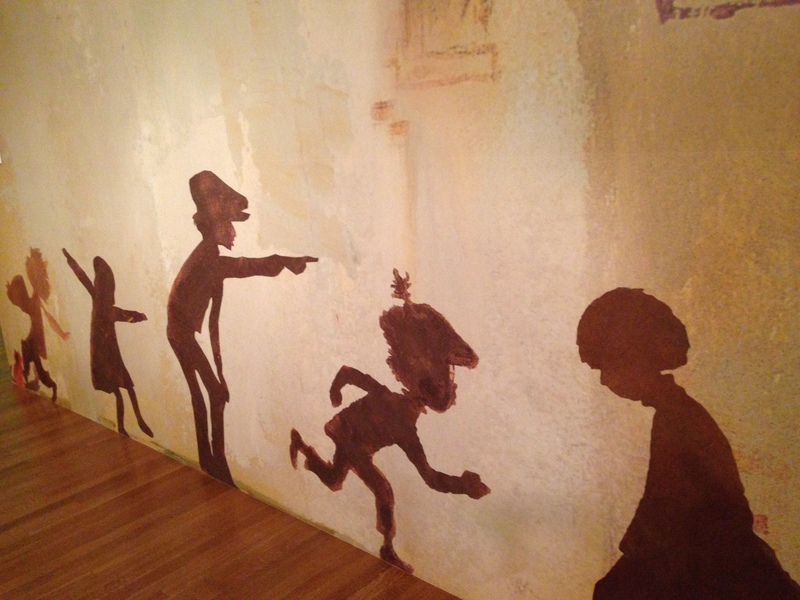 The Snowy Day will be on view at the Skirball Cultural Center through September 7, 2014.